Thread: Python Reticulatus Wallace Progression! He's the longest, but you be the judge. I'm not the smallest dude, fairly muscular and athletic to boot but I'm no NBA sized fella either. When people need to see some type of reference for size, quarters, cellphones and dollar bills don't always cut it. 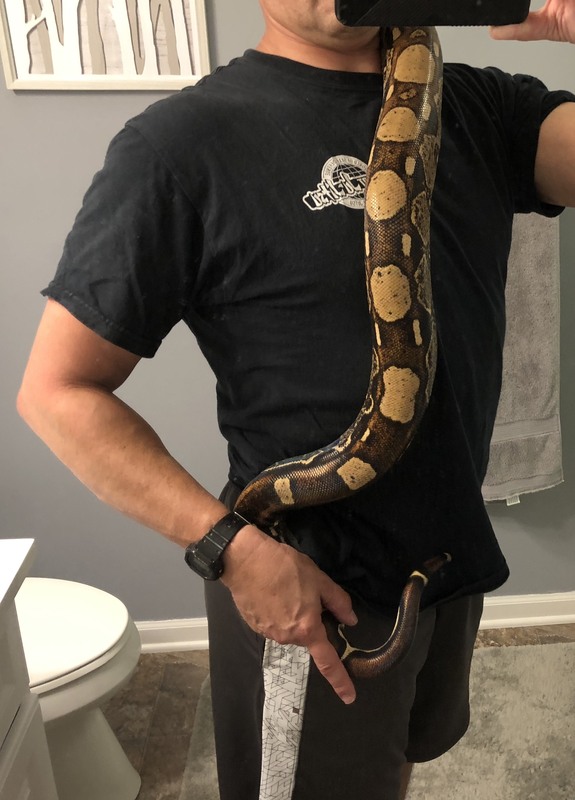 I'm not much for posting pictures of myself on the web, but I have a couple modified pictures with 2 different snakes here. The first is the retic, Wallace. He's my longest snake and I'm guessing he's 7.5 to 8.5 feet in length. If you think a male SD x Dwarf x Mainland retic at 8 feet is big you may feel differently after seeing this. If you follow the boa constrictor forum, you've seen these. Sniper, my 6 year old male BC. He's MAYBE 7 feet long. Possibly under, or doubtfully just over. 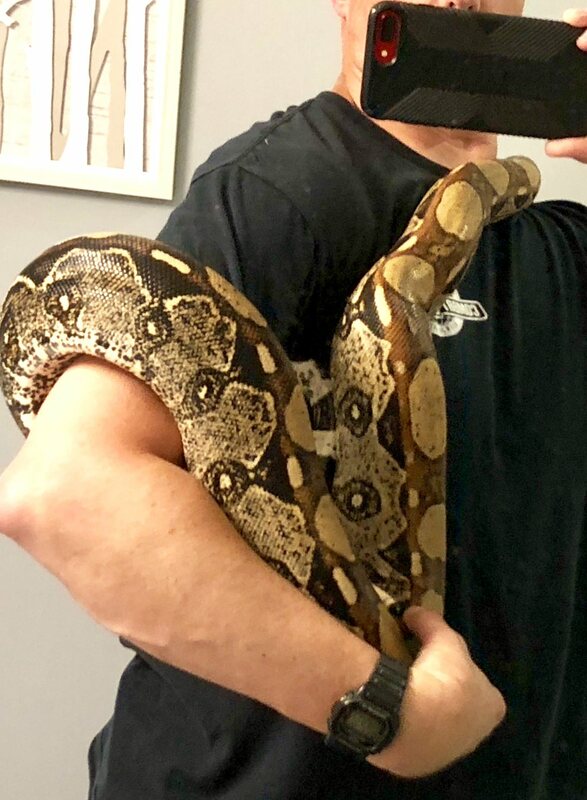 The density of a BC at a shorter length makes the boa seem huge IMO. They are so strong too. 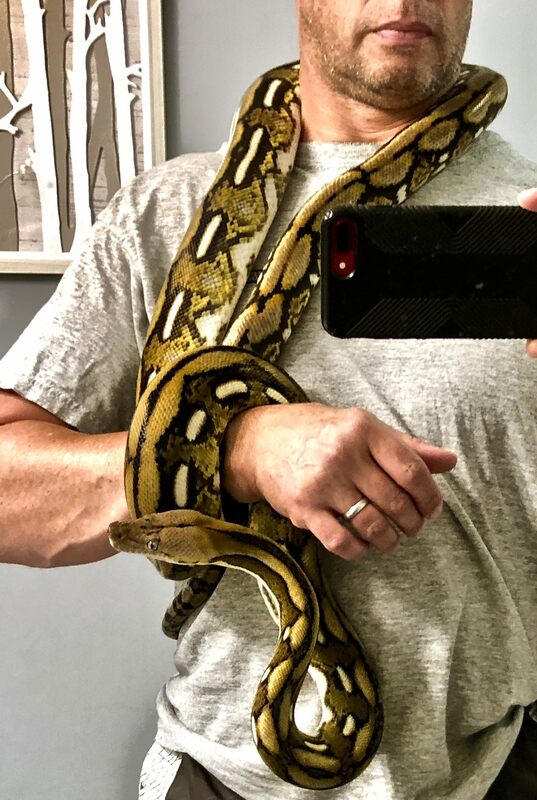 That said, the boa is a much better handling animal. Wallace often becomes annoying in a short time and handling becomes unrelating. Re: Python Reticulatus Wallace Progression! Last edited by richardhind1972; 06-29-2018 at 06:28 PM. 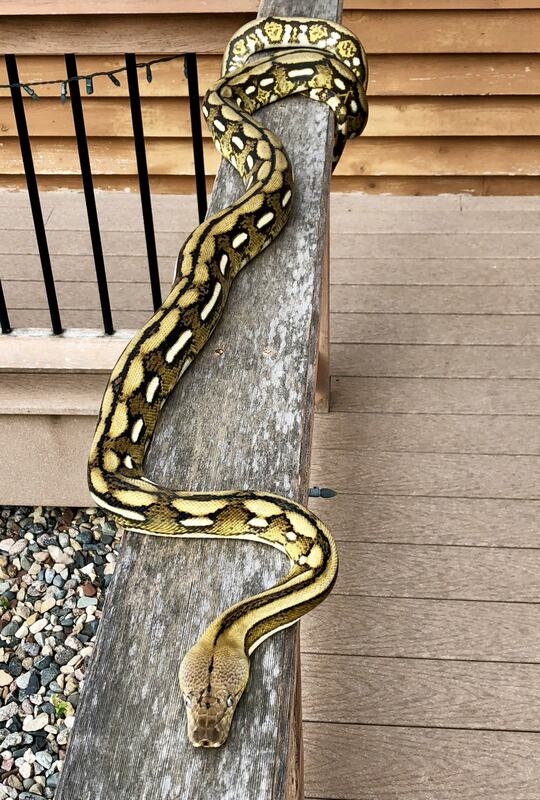 This makes me want a retic so badly. Wallace is super handsome! Hahah that’s exactly what happened to me! That's a big one JM! 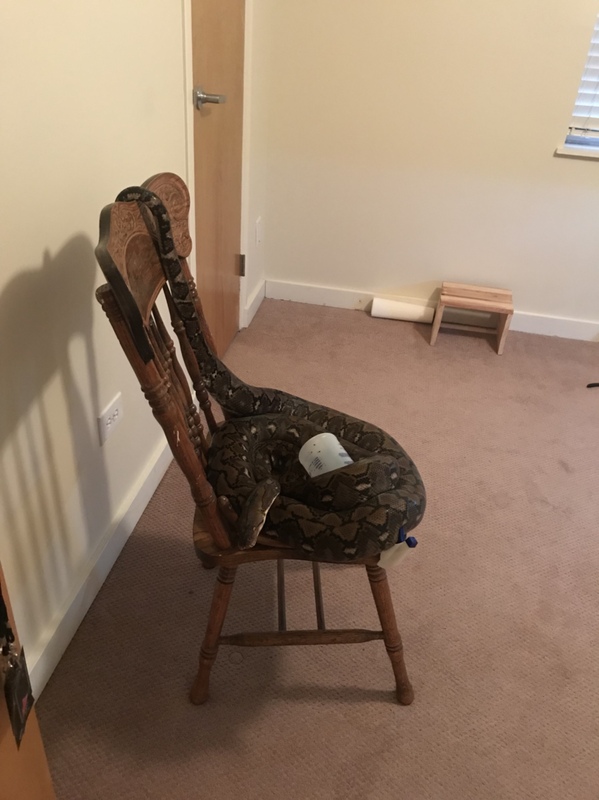 I love both the boa and the retic, and the carpet,,,,, and,,,,,,,,,,,, even my son's royal. The BC feels the best when handling, the carpet seems the most friendly, and Wallace is hit or miss. Not true. 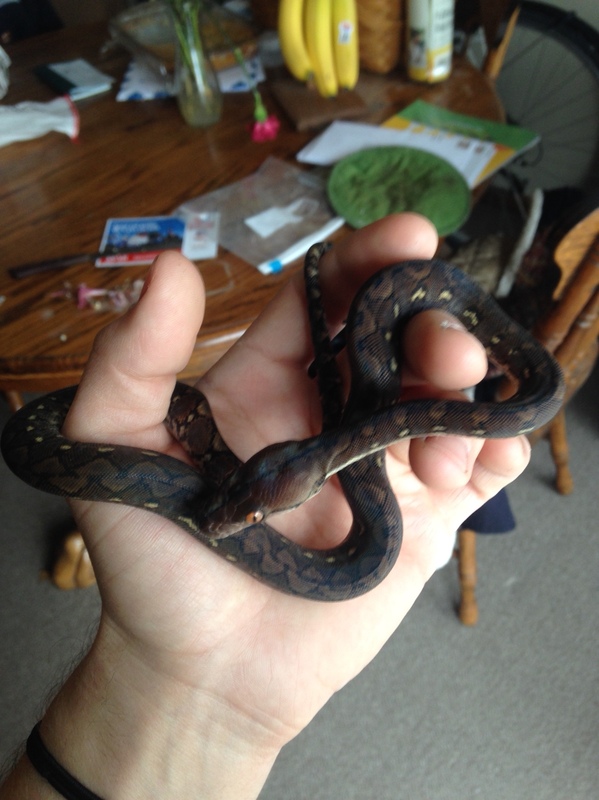 You can overfeed it and powerfeed it and end up with a huge boa in a short time, wont live long but it will be big and grow fast lol. And i think Wallace has outgrow Caesar haha. He doesnt seem to be putting on anymore length and pretty much stopped at around 7-8 feet. And Phyllis is just a freakin monster. I think Gene is probably more of Caesar's size. It's like Caesar had a huge insatiable appetite, pushed when not fed and grew like a weed. Then just quit pushing, quit being so demanding for food and is now 12 days from his last feeding and still mellow. Although he does find new things to do to annoy me or make noise. Last edited by Sauzo; 07-01-2018 at 12:02 AM. On man, so worth the risk though - that snake is BEAUTIFUL. P.S. I miss minneapolis - that's home to me. Last edited by PiperPython; 07-01-2018 at 06:33 AM. I lined him up on the deck rail and he stretched out. It was a constant battle to keep him in one spot. It was very humid here yesterday. He probably felt somewhat at home. I've been digging his colors a lot lately, and outside with some clouds and green grass made them look nice. Hopefully he is topping off. He's close to the perfect size.